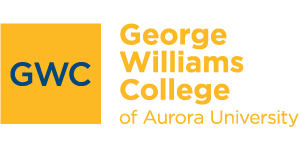 George Williams is one of several campuses that comprise Aurora University. We draw upon the extensive resources of a large private university system to offer undergraduate and graduate students a blend of “high tech” and “high touch” learning experiences. 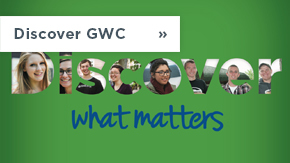 George Williams College shares the same mission and values as Aurora University. 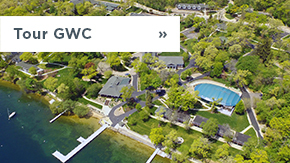 Nestled on the shores of Wisconsin’s Geneva Lake, the GWC campus offers distinctive student life experiences. 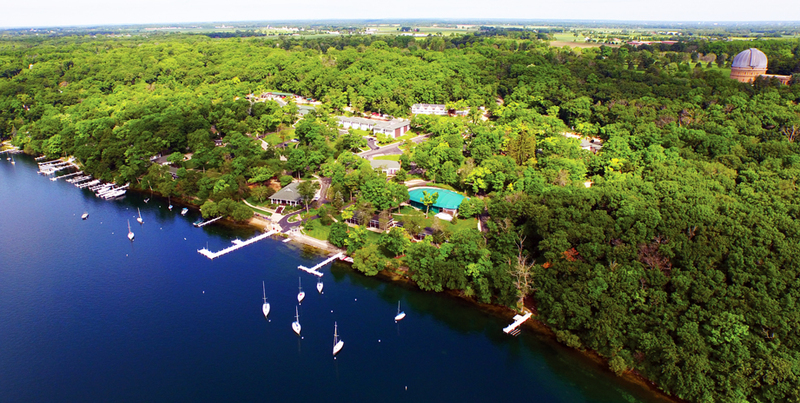 Our students kayak, tend gardens, keep bees, sail, hike and tap maple trees for syrup. 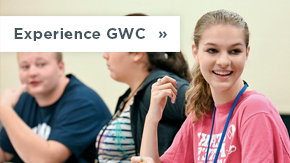 GWC academic programs prepare graduates to lead in fields where society’s needs are the greatest. And so our curriculum is focused on educating students in a handful of majors, including nursing, social work, environmental science and applied psychology. Students immerse themselves in these majors, while examining through our broader curriculum a series of enduring questions about subjects ranging from the preservation of human dignity to the impact of science on society and global justice.